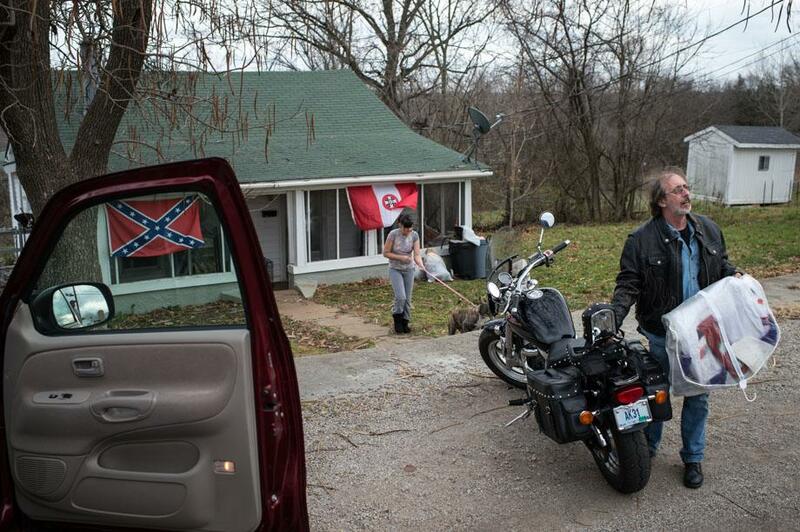 Anthony S. Karen: A photojournalist’s unrestricted access to the Ku Klux Klan (PHOTOS). 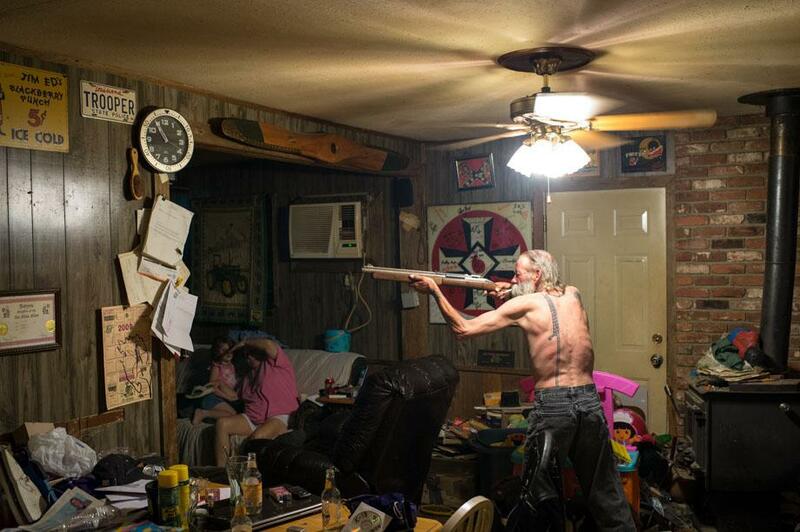 Carl, an imperial wizard of a Southern-based Ku Klux Klan realm (or state-level group), takes aim with a pellet gun at a large cockroach (on the piece of paper just below the clock), while his wife and goddaughter try to avoid getting struck by a possible ricochet. Photographer Anthony Karen’s use of the word sir in emails might stem from his service in the Marine Corps. It could also be indicative of his humanitarian side and his affiliations with charities including Friends in Deed, Smile Train, and the Humane Society. That simple level of politeness is also a small window into how he has been able to document as a photojournalist many of the most feared, secretive, and marginalized pockets of society around the world. On his website, Karen writes that his passion for photography began during a trip to Haiti, where he documented Vodou rituals around the country. From there he has created series about Skinheads, the Westboro Baptist Church, and the Ku Klux Klan. Gaining access to secretive pockets of society is based upon trust, something Karen doesn’t take lightly and that he sees as a foundation of photojournalism. “It’s a moment that’s constantly validated, the wordless acceptance into someone’s personal space with a camera,” Karen wrote via email. 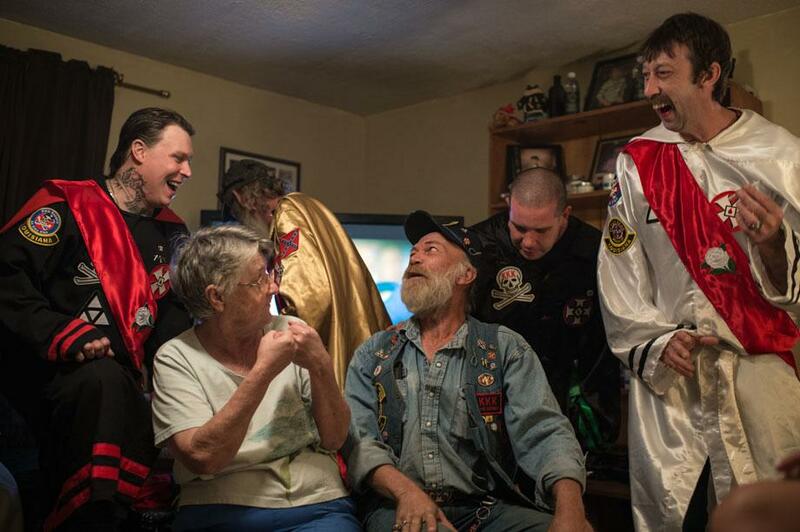 Members of a Louisiana-based Ku Klux Klan realm joke around at the home of one of their imperial officers. To gain access into the Klan, Karen initially reached out to members through contact information on websites via phone calls and emails. 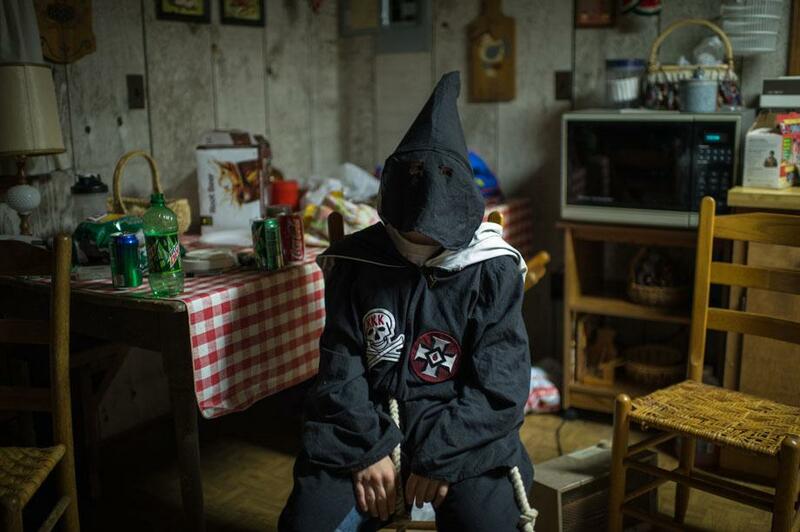 His began photographing a Klan event in 2005, and after earning the trust of the members, he was allowed to photograph without restriction. 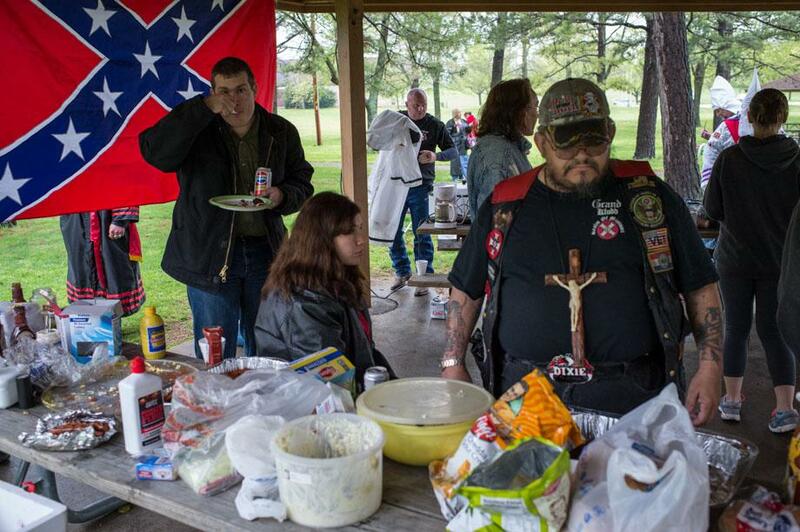 During an interview with FotoEvidence, which published his book White Pride, Karen spoke about his level of access to one of the least-understood organizations. “I think a lot of the credibility I’ve earned also stems from my basic philosophy that you need to give some of yourself in order to receive anything back. I spend time with people, I listen to what they have to say, and I treat each person as an individual. I don’t have to believe what they believe, but whenever I’m in someone’s space, I feel I’m obliged to observe without judgment.That’s not to say I wouldn’t intervene if I felt a situation called for it, but I choose to observe moment to moment and simply take in what I see and experience without presumption or pretext,” he said. 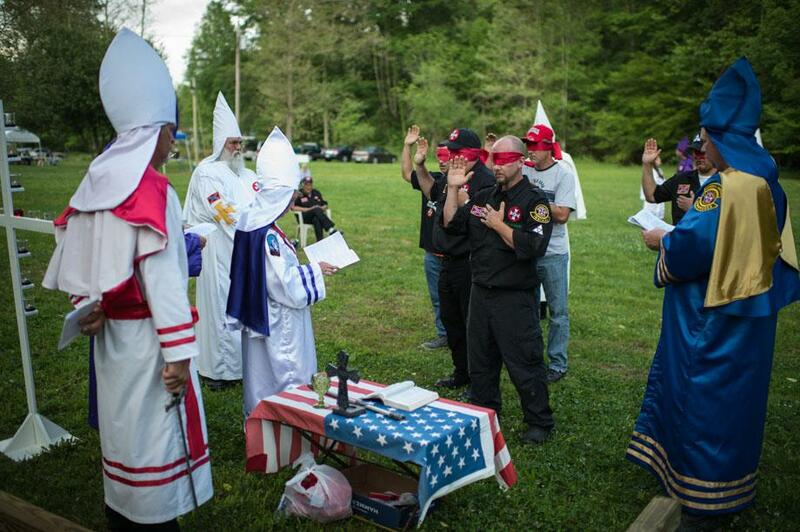 Candidates wishing to become initiated into the Ku Klos Knights of the Ku Klux Klan take their oaths as part of a naturalization ritual. Candidates are blindfolded are led through the woods at a sometimes vigorous pace. They are questioned about Klan craft and history, and they swear certain oaths. They are then “knighted” through anointing with sacred waters, a sword touch on both shoulders, and a benediction. The new members are greeted and welcomed by the officiating officers. 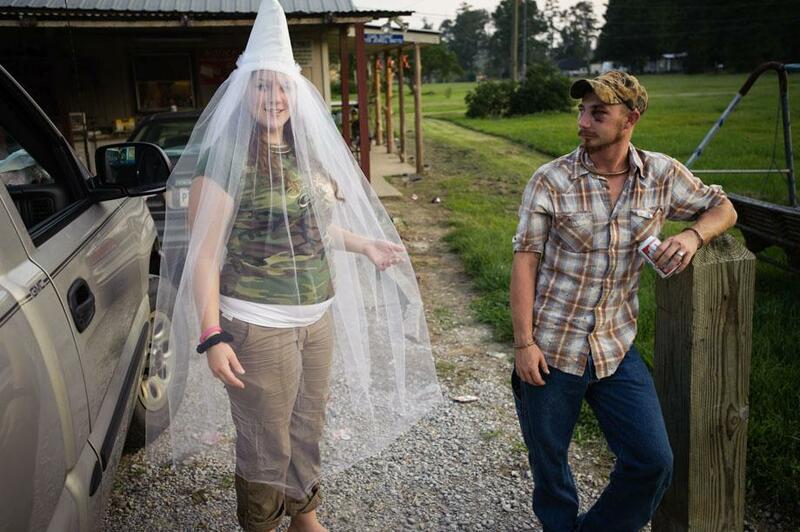 Klan members gather at the site of a Civil War battleground for a traditional Ku Klux Klan wedding ceremony. 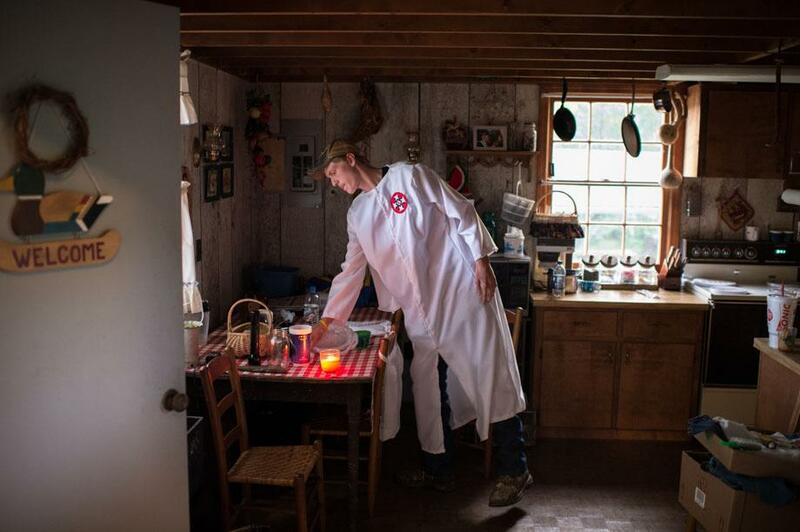 Karen’s ability to gain access into the KKK led to a collaboration with the Discovery Channel on a documentary about the Klan titled KKK: Beneath the Hood. 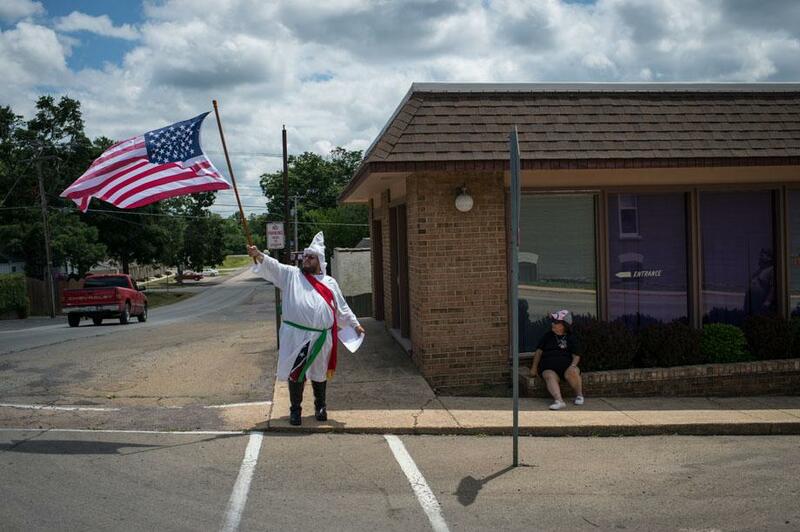 The son of an imperial wizard of a North Carolina–based Klan realm. 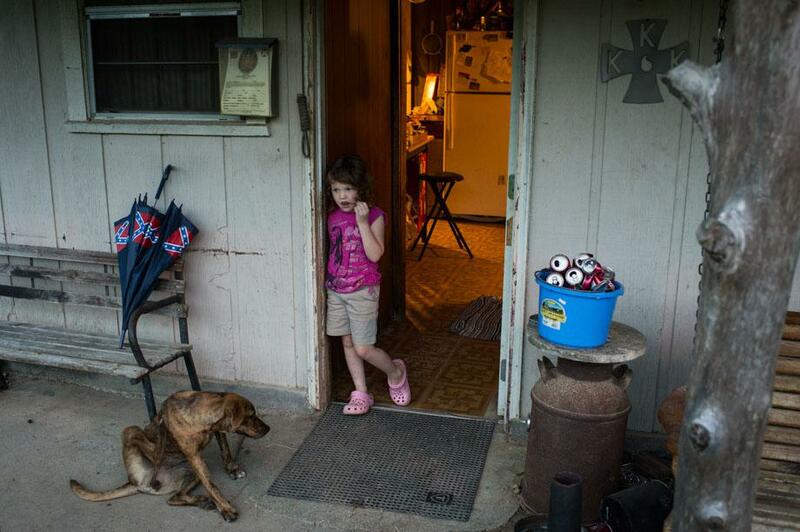 The granddaughter of an imperial wizard of a Southern-based Klan realm.